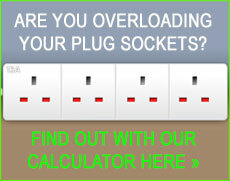 Why to choose us as your local Harrow electrician? If you need a qualified electrician in Harrow HA1, HA2, HA3, Rayners lane or Middlesex, then we can be of service. dkp Electrics are a company of highly professional electricians that can carry out work in your area of London. dkp Electrics are specialists in electricity and electrical work. We offer many electrical services within the Electrical industry and are capable of carrying out any of your electrical needs. Being an NICEIC Approved Electrical Company no job can be too big or small, from 'fault finding' to 'rewiring', whatever it is, we can get it fixed. dkp Electrics have an expert team of electricians with every necessary certificate of qualification that specialise in the more detailed and complicated projects that can arise. All electrical work will be carried out to the highest standard and in compliance with the latest wiring regulations. Our Harrow electricians team work with everything from Audio sound and underfloor heating to boilers, ovens and even garden power, lighting equipment and patio heaters as which are becoming ever more common in the London suburbs. Harrow, near Watford, is located North-West of London in Middlesex and is probably better known for the area of Harrow on the Hill, just up the road from Harrow town centre. This area is very popular with dkp Electrics as we have carried out huge amounts of electrical jobs and services in Harrow over the years. A prime example of work carried out would include jobs such installing CCTV for property security. This CCTV can even be viewed through your computer or smart phone via the Internet making it a must have gadget. If its energy saving services that you are interested in finding more information about, we can advise you with ways of keeping your energy costs down and will also explain the services that we offer here at dkp Electrics. A service such as getting your down lights (spot lights) converted into LED's is often beneficial and is a long term measure for saving both money and energy as well as being safer. Halogen downlights are one of the main causes of house fires due to being badly installed or over heating. So sit back and relax, let us worry about any electrical problems that you may face. dkp Electrics can get a technician out to your home in Harrow to fix any matters 24 hours a day. We can also supply electricians in surrounding areas like Rayners lane, Kenton, Harrow Weald, Bushy and across Middlesex North, South & West at any time of the day or night. To discuss your electrical needs with an electrician in Harrow then contact us today for a free quote!